Simon Petty isn't about to claim that life is like a minibar -- a self-contained storage unit filled with junk that can thrill you, sustain you or make you sick. The idea did occur to him once for a song, but Petty laughs about it now, calling the concept "rubbish, absolutely." Minibar struck him, however, as a decent name for a band. "It was jokey, funny and very rock 'n' roll," Petty says. "Best of all, nobody else was called Minibar." Thus was born a roots-rock group that takes its music seriously, but the industry ... well, not so much. Minibar, a band of Brits who moved to the United States in 1998, likes to call its players "the cockroaches of rock." That means these sturdy, chipper musicians can survive anything the business dishes out, from failed major-label deals to the rigors of grassroots touring. "We're working musicians," Petty says. "That's what we do." On Friday, they'll be working in Birmingham, performing a Minibar set at WorkPlay and sitting in with headliner Pete Yorn, playing as his band. Doing double-duty comes easily to Minibar, Petty says, as the group has collaborated with Yorn many times before. This is their second tour of duty together at WorkPlay, after teaming for a 2004 benefit there to help the financially ailing City Stages festival. In fact, Petty says, the Minibar tune "Things I Left Behind" had its genesis at the City Stages fundraiser. "I was at soundcheck," he says, "and lots of people were ranging around. There's so much waiting around on tour, and you have to fill it somehow. I went off into a room and started playing, and the basics of that song emerged -- not the whole thing, not finished, but some of the chords and some of the melody line." 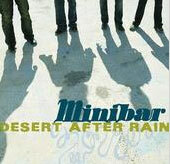 After further development, "Things I Left Behind" became the opening track on Minibar's 2006 CD, "Desert After Rain." It's an independent release, sold at the band's shows and through CD Baby. "Birmingham has been very fertile territory for me," says Petty, Minibar's lead singer and primary songwriter. "There's another song, 'Biker Night,' that's about a show we did, supporting a local act at The Nick." After a long, tiring day of travel, the band arrived at the grungy nightspot in Southside and encountered a chalkboard that blasted "Biker Night" in large letters and whispered "Minibar" in tiny script. Not a good sign, Petty says, but the show turned out fine and spurred his imagination. In "Biker Night," he sings of streets that smell "like hardware stores" (presumably because of the motorcycle oil) and a bar with photos of previous bands plastered all over its walls. Poetic weariness can be heard in that offbeat ballad, but Minibar isn't a band of complainers. Petty and his colleagues -- bassist Sid Jordan, drummer Malcolm Cross and guitarist Tim Walker -- are quick to point out the benefits of indie status. These include freedom to make their own decisions, a larger percentage of profits from CD sales and a direct link with fans through the Internet, without a meddling middleman. Minbar, initially signed to Universal, recorded a big-bucks album in 2001 with producer T Bone Burnett. Petty says it was a "great experience" and the band remains proud of the result, an 11-track set of glossy Americana called "Road Moves." Disappointment over being dropped by the label was tempered, Petty says, by the realization that Minibar could continue on its own and succeed on a much smaller budget. A second disc, "Fly Below the Radar," was released in 2003 on Foodchain Records. The band members, soldiering on, are based in Los Angeles and perform regular dates in Southern California when they're not touring with Yorn or by themselves. Radio play? Not really happening, but Minibar has received widespread exposure by placing songs in films and TV shows. The band can be heard on the soundtracks of "The O.C.," "Nip/Tuck," "Men in Trees," "Shrek 2" and "Jay and Silent Bob Strike Back." Petty is the first to admit that being in a scrappy, self-sustaining band might be creatively satisfying, but it isn't always glamorous. "We've been together so long, and done all those sort of rock 'n' roll things," he says. "Now we can't be bothered. On the road, the biggest concern we have on our days off is trying to find the launderette. Today, I'm reading Sherlock Holmes and doing the crossword. Maybe I'll go to the gym."